Cronos was originally released in 1993 and was the debut film of director Guillermo del Toro, of Pan’s Labyrinth and Pacific Rim fame. Additionally, the film’s cinematography was done by Guillermo Navarro, who in addition to working on many of del Toro’s films, has also worked on films such as Spawn and Zathura. In the 1500’s, an alchemist created a means of eternal life through the eponymous Cronos machine. However, the alchemist was killed in an accident in the 1900’s when a piece of a collapsed building pierced his heart. When the alchemist’s housings were investigated after his death, a woman’s corpse was found hanging in his house with her blood being collected in bowls. This gruesome discovery was not publicized and the whereabouts of the Cronos machine were seemingly lost. In the present day, elderly gentleman Jesus Gris spends his days managing an antique shop and taking care of his quiet granddaughter Aurora with his wife. One morning, after noting a suspicious man examining an archangel statue in his shop, Gris finds that the statue is missing an eye and has a hollow base. The base contains a golden scarab with a wind-up mechanism, which unknown to Gris, is the alchemist’s lost Cronos machine. While Gris winds the machine, it suddenly clamps to his hand and stabs him, leading him to seek medical help from his wife, who removes an insect’s stinger from his hand in the process. Later that evening, Gris, in a feverish delirium, allows the Cronos machine to stab him again, while Aurora secretly watches on in horror. The Cronos machine makes Gris appear younger and revitalizes him, but he becomes reliant on regular injections from the machine which interrupt his daily life, and he begins to develop cravings for blood. Gris is later invited to meet Dieter de la Guardia, a rich but terminally ill man who seeks the Cronos machine in order to extend his life, amassing many other archangel statues in the process. When Gris refuses to hand over the machine, la Guardia sends his aggressive nephew Angel to attack Gris and force him to hand over the Cronos machine. Though Gris simply wants to return to his everyday life, the Cronos machine proves to be a magnet of constant misfortune. 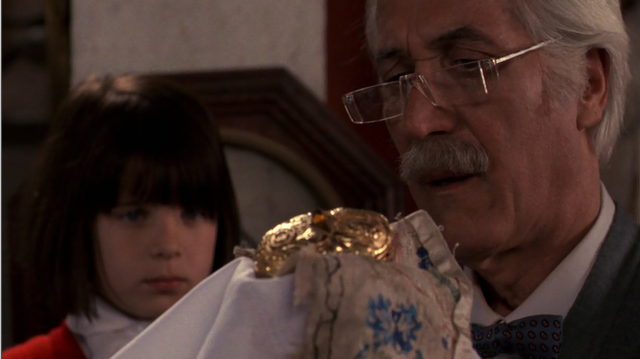 Cronos is a surprisingly sentimental and emotional take on a vampire horror film. Rather than having the story focus on a naive young man and his misadventures through vampirism, del Toro (who was also Crono’s writer) depicts the protagonist as an elderly man with an established family and no interest in the concept of eternal life, but is pulled into horrifying situations against his will. One scene that I found especially poignant to the general tone of the film is the scene where Gris tries to return home after Angel “succeeds” in killing him by throwing Gris’ car over a cliff. After coming back to life and escaping from the morgue when he is presumed dead, Gris is rebuffed in an attempt to phone his wife, but his granddaughter Aurora calmly welcomes him back and provides him with shelter. After Gris realizes that his skin burns in the sunlight, Aurora allows him to sleep in her toy box with her stuffed animals as she doodles on the side of the box as he sleeps. Moments like these really emphasize the general solemn yet bittersweet tone the film sets up throughout. The actors in the film also do a good job of establishing the film’s atmosphere. Ron Perlman’s performance as Angel is easily my favorite performance in the film. Perlman depicts Angel initially as an eccentric yet conniving man, but as the film goes on, Angel is established as a very hot-headed, angry individual, frustrated with putting up with his uncle’s requests and only waiting to receive his inheritance. Additionally, Federico Luppi and Tamara Shanath, who play Gris and Aurora respectively, have a more subtle approach to their roles yet still manage to play them out well. Luppi portrays Gris as a man who is exceedingly close to his family and wants to avoid needless conflict, but will fight back if he’s pushed enough. Shanath’s portrayal of Aurora is largely quiet throughout the film, but you get more of a sense of shyness rather than vibes of a creepy child with no emotions. Overall, the actors in Cronos excel in their roles, albeit to different degrees. Pros: Wonderful, emotional take on a vampire horror story with excellent focus on an atypical protagonist. The actors, especially Ron Perlman, do a fantastic job portraying their characters and bringing out the general tone of the film. 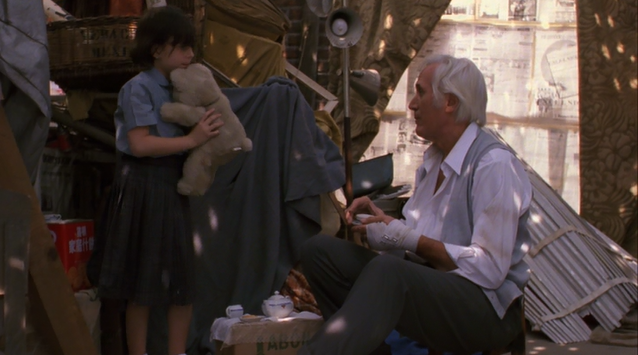 The choices in set design are subtle, yet add to the overall atmosphere of the movie. Cons: Although it is labeled as a horror movie, the horror elements are largely secondary in the general span of the film and the story takes a little while to really get up and going. 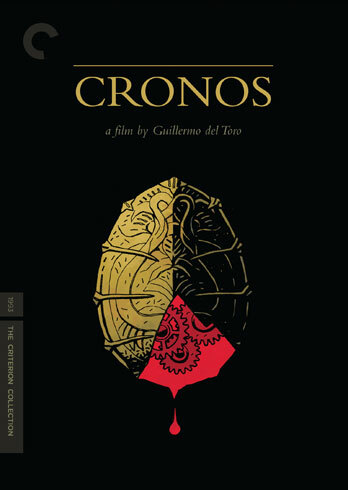 Cronos is available on DVD from The Criterion Collection. 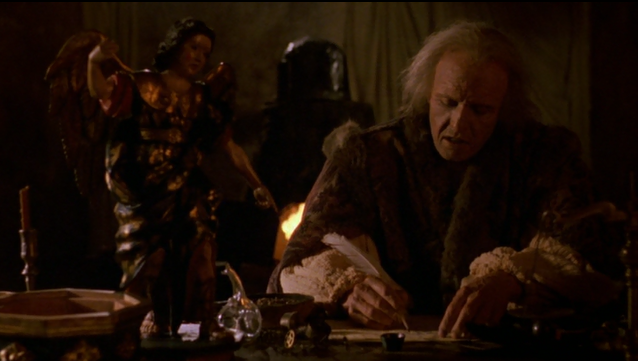 I was pleasantly surprised by Cronos, not expecting it to be the rather solemn yet still substantial tale it was. If you prefer your horror mild, but still enjoy a substantial, emotional drama, give Cronos a shot.